Gigstarter catalyses live music bookings and events all across Europe with a database of more than 6000 artists. The live music platform is a perfect tool for independent event organisers and artists; and stimulates opportunities for talented artists to develop locally and internationally. 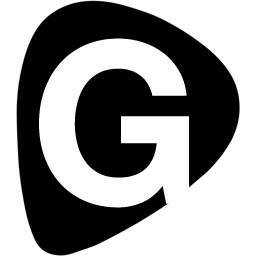 In line with the European Union’s integration, economic and innovation goals the EU’s endorsement of Gigstarter will make the European under-the-radar live music scene flourish. We are proud to announce that Gigstarter is backed by the EU. We’re participating in the ERC's European Union's Horizon 2020 research and innovation program. The program is set up to stimulate innovation from within the EU and boost cross border EU cooperation. With Gigstarter’s cross border approach supply and demand for live music throughout Europe is stimulated and European music markets are brought together. Gigstarter’s artist of the year final in the Sugar Factory Amsterdam in which artist from eight European countries participated, read more about the international contest in our blog. The goal is to bring our self-service platform to music makers and lovers in the entire EU. Thanks to the support Gigstarter can continue to improve its online tools for independent artists, vanguard managers/agencies and DIY event organisers. Everyone should be able to book an artist, by creating a transparent platform, live music is made accessible. Let’s liven up Europe’s resilient music potential! This project has received funding from the European Union's Horizon 2020 research and innovation program under grant agreement No 837395_C2C4LMB. Would you like to be updated about Gigstarter and its artists?